I only got a name tag for Buffy a few months ago. I know, I know that's really bad. I'm sure he has forgiven me by now. 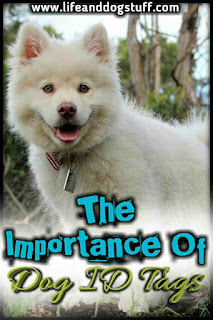 That's why I'm writing this blog post so that you are aware of the importance of dog id tags for your dogs. Buffy was a really naughty pup. He's also a very fast runner and as soon as the gate opened he would run outside. I call him my little flash dog. I swear he's just as fast as the Flash. We had to chase after Flash-dog almost every day. Not much fun. As he got older he did not feel the need to run around the neighborhood as much. He just ran out now and again when he was in one of his crazy moods. I remember him teasing the other dogs a lot and chasing the smaller dogs. In a playful way of course. Yes, he was a very, very naughty puppy. After his attack, it’s almost like there’s this invisible barrier around our house and he does not step over the line. That’s a good thing because I don't have to worry about him going outside. Dog id tags are important to make sure your dog can easily be identified if they get lost. The tag will have all the important contact details on to ensure your pup will return home to you. If your dog ran outside and someone sees your dog without a name tag, then what? Hopefully, a neighbor will see your dog and bring them back home to you, but some younger dogs might run too far away and not know how to navigate their way home. A stranger will probably take the dog to the nearest animal shelter. They might have a family worried sick about them. This is why a dog or cat needs to have some form of identification. They can't speak and tell us where their home is. Some people chip their dogs. Meaning a small microchip is implanted under the dog’s skin. The vet normally implants it under the loose skin between the dog’s shoulder blades. It’s not like a GPS tracker that can track your dog’s location. 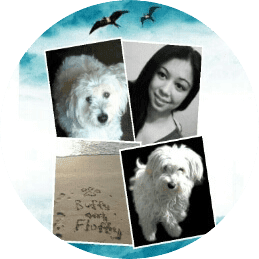 It just holds a permanent ID for your dog that matches with an ID in a pet recovery database. Dogs that are lost and taken to an animal shelter will be scanned to see who the owner is. If you don’t like the microchip invasive procedure, just get a dog name tag and hang it on their collar. You can get them at a pet store, online pet store or you can even make your own. I made Buffy one from an old necklace with a round wood pendant. You need to add your dog’s name, your name, and phone number. Add anything else you think is important. You can also get a GPS tracker for your dog. They fit on the collar and you can track your dog's location on your smartphone with the tracker's app. It's a bit on the expensive side, but if you have a runner that can't navigate his way home then you might consider investing in a GPS tracker for your pooch. Speaking of collars, some people don't like leaving collars on their dog. They fear the dog might be too uncomfortable or their collar might snag on something. There are a lot of comfortable collars out there. The Petsafe Keepsafe Break Away Collar for dogs is designed for just that purpose. Make sure you check it out! Hopefully, most of you already have some form of identification for your dogs. If you don’t, get them a dog id tag as soon as possible. You will rest easier knowing your dog can be identified if they get lost. Hi Lorenza! I keep my dog's tags on her leash because tags are required when we go to the dog park but I don't keep them on full time. I never thought about my dog accidentally getting out. Your advice is smart. Thanks for making me think about it further. Hi Diane. Thank you. Sometimes it all depends on preference and what the dog's personality is like. I'm an overprotective dog parent. So I keep tags on at all time, because he's in the yard most of the time during the day and there's a gate. Some people don't like collars on their pets all the time. There are nice comfortable collars out there and some are catch proof collars like the KeepSafe BreakAway Collar. 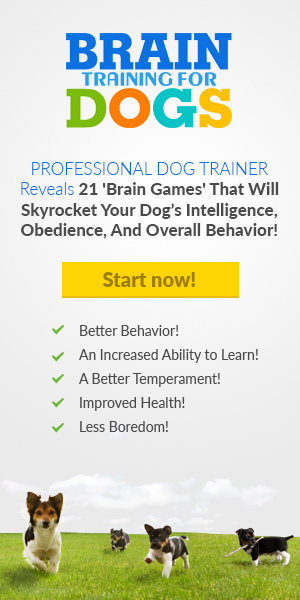 You can do some further research and decide whats best for you and your dog. Thanks Lorenza! 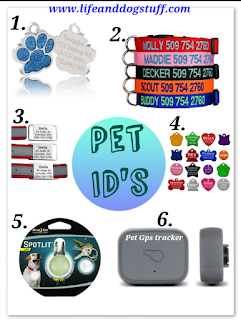 These pet id tags help your pets to find their way to return back home. 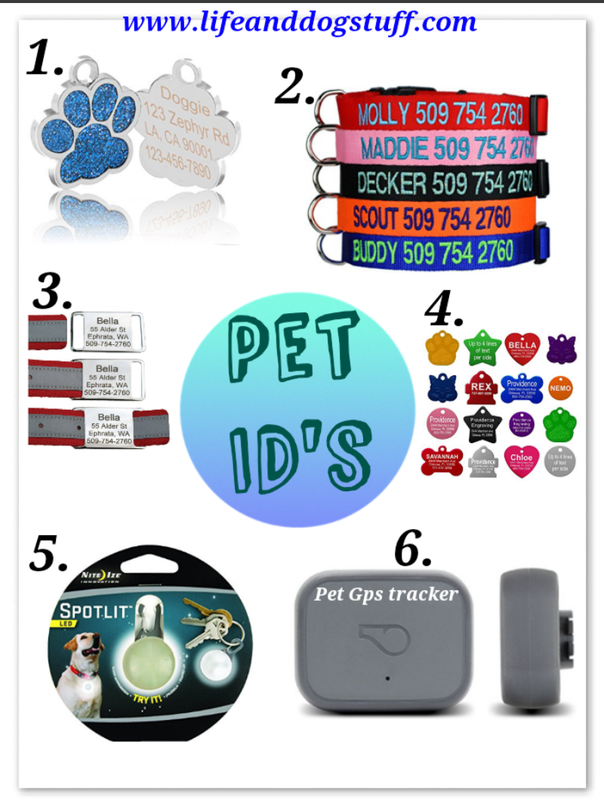 SO, keep your pet stay safe with Pet id tag.